It’s been a long time since the day I got my CommentLuv plugin and I’ve really enjoyed its many benefits on all my blogs. If you are an experienced blogger, I am sure you are already using it on your site. But if you are pretty new in the blogosphere, many be you don’t know it or you don’t have your copy yet. Now it’s the convenient time to get your unlimited license version of CommentLuv! (just use the coupon code “helpandy” when checking out for receiving a $52 discount). Over time bloggers have changed a lot their minds over CommentLuv. At beginning, everyone loved this plugin so much, as all the most popular sites started using it and this surely helped increase the buzz around it. I remember the time when most of the bloggers invited visitors to comment on their posts to receive in exchange free “dofollow” links. Maybe both on their name (using the keywords) and in the commentluv link pointing to their posts. There was a time when bloggers have been writing a lot of articles about the benefits of commenting on CommentLuv enabled sites, there were many blog posts about list of sites having the plugin enabled with the “dofollow” status granted and even directories about it. Then, after some time, people started granting the “dofollow” status just for those visitors who have left at least 3, or 5 comments on the blog. Later, for the continuous changes in Google’s algorithm or either for the increment of spammers on these sites, bloggers started to add “nofollow” to the comment links, then also to the commenter names and finally many people removed completely CommentLuv from their blogs. Theoretically, a site should have all the outbound links with “dofollow” tag, unless they are affiliate links or advertising. Of course your external links should match the topic of your content. So the commenters links. In your articles, you should link to authoritative sites, and there is no reason why you should not do it. In fact, if you do not, and your site is completely “nofollow”, then there is something you’re hiding in the eyes of Google, do not you agree? The fact is that 99% of the sites around have received at least a penalty from Google and so many have decided to cut the Gordian knot, and add the nofollow status of all links. Moreover, how much does it cost in terms of money and time searching for what actually penalized your blog? So why still using CommentLuv? In my opinion, the pros of using CommentLuv overcome the cons. Here’s my five reasons you should use CommentLuv. In fact, they normally do not have gravatar and they link out to bad sites in their comments. Without mentioning that they write poor and useless generic comments. Just take a look at their posts titles, you may find out in an easy way what is their niche, if they have a gravatar, if they link to useful articles. That’s right, people usually add in their CommentLuv comment a link back to their blog article which share the same topic of the post commented. If people read your site, then granting them a way to receive something in exchange is a reason more for them to come back again. Of course, as well as reading your interesting content! People may want to search within the commenters links and pay a visit to their posts. 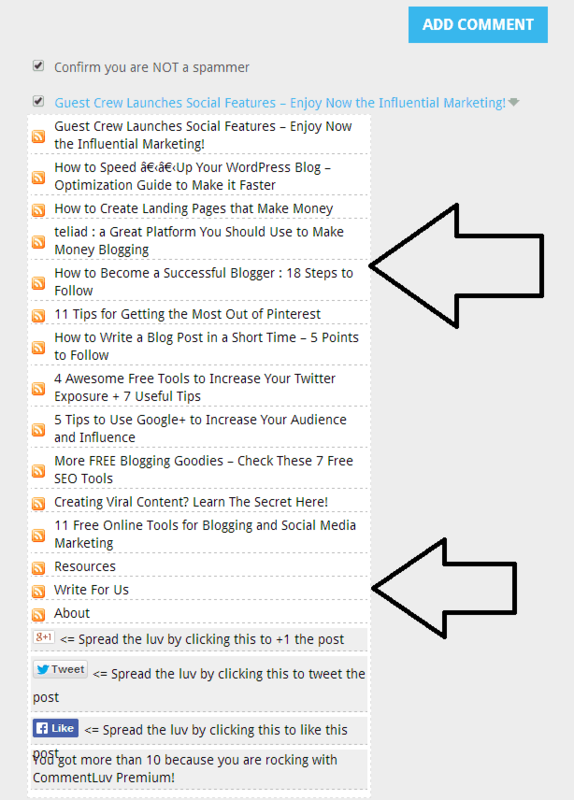 This is also a pretty quickly way to find bloggers within your niche when visiting the post comments of a popular blog. 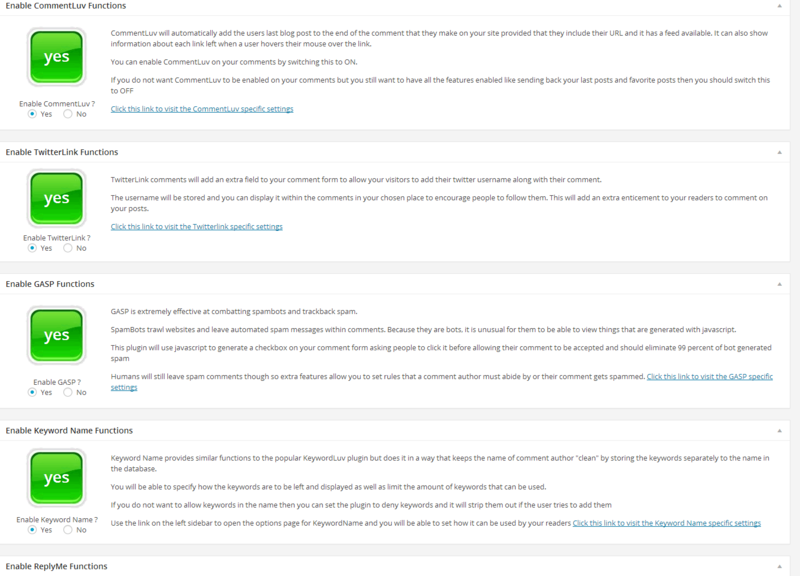 Aside the reasons I mentioned before, these are the main features of CommentLuv plugin. This is the main feature of the plugin, adding the possibility for your readers to link out to their favorite posts, receive more traffic and increasing the chance to get your post go viral. This is a premium version of the popular anti spambot plugin GASP. If you have troubles with spammers on your blog, this feature will help you fight them. You can use this feature to allow your commenter use their keywords in their name. You can set the number of comments needed to receive this reward. Your commenters can link out to their Twitter profile if you use this feature. In this way, you let your readers receive more followers. I love this feature. It will send an email to commenters when they receive a direct automatic reply to their comments. and the chance to sell it via its affiliate program. You don’t get all the main features I mentioned before, if you decide to use just the free version. Are you using the CommentLuv plugin on your blog? Do you have the free of premium version? I love CommentLuv and they work for nearly every website I have seen. Andy been doing great and I know, there are TONS of bloggers who would die with it. Thanks for sharing your views and for commenting here today. Point no 2 and 3 are not very clear, How come one analyse only by looking at picture the niche ( If he is not a old one of course) and point 3 , A Commenter commenting may not have the same niche as yours. I thought the points of the article were clear enough when I proofread it. I meant that when you have pending comments (or in spam) in your WP dashboard, you take a quick look and first, you can identify the spammer checking if he/she has a gravatar or not (normally spammers do not have a picture of their face in their gravatar). Second, just look at post title and you will see the niche of the blog (e.g. travel, technology, blogging, SEO, etc.). Third, pay a visit at their linked site and you will definitely know if the blog is serious or not. As for giving a dofollow status to a commenter who has a niche different than yours, I would not suggest it, as generally you should link out only to websites sharing the same topics of your blog. Let me know if you need to discuss further. I am sure you will enjoy CommentLuv plugin. 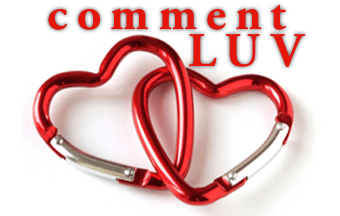 Commentluv plugin is most popular and favorite plugin of all bloggers. Newbies can not effort to buy the premium version of this plugin. But still they can enjoy blogging way with free version. Thanks for sharing this great post. happy to see you here and that you share my same point of view on CommentLuv plugin. Probably pros are more than cons. I used to use free version of ComLuv in the past, until I moved to my own commenting system which is more than rock solid in terms of spam catching. If I may ask, can you explain how “your own commenting” system works? You have posted informative article. I luv commenting on the blogger sites. Its good for my site and also for good social relationship with the bloggers. Glad you enjoyed the article, Mikestephans. Cl is a no-brainer Erik 😉 It took me years to change over from Disqus but when I did the comments rolled in. Thanks! Glad to know you share the love for CommentLuv, Ryan! This plugin has huge benefits Erik and Andy is doing a good job by cutting the price down to less than half the price. Andy did an amazing job creating this plugin time ago. Like you said, I hope new bloggers join this occasion to buy CommentLuv Premium at a very discounted price! Thanks for commenting here, my friend and have a great rest of the week! This is one of the most comprehensive article post i have read about COMMENTLUV PLUGIN. No blogger or internet marketer will ignore the installation of Commentluv on their wordpress site looking at the massive benefits the plugin has to offer. I intend buying the premium package of this plugin because the free package has over delivered 🙂 . With this plugin installed on my blog, i have experienced huge engagement on my blog and also make friendship with new bloggers. The possibility for commenter to gain back-links is one thing i love about this plugin and that is the main reason why bloggers keep visiting my blog to tap referral traffic and back-links. Thanks for sharing this wonderful article post with us and no one will read this and afterward refuse to purchase COMMENTLUV PLUGIN. you should take advantage of this promotion. I just recently installed CommentLuv on my site and I really like it. I installed because it helped me find great articles that I probably wouldn’t have found otherwise. It encourages people to comment and it helps my readers find relevant content from the comments. CommentLuv helps to increase engagement and interaction within the audience of your site. Well I’m also a great fan of commentluv but for now majority of my blogs don’t have commentluv though I’ve used it earlier. Will some switch to commentluv premium. which comment system do you currently use? Coommentluv is undoubtedly an amazing plugin for wordpress. I am using this plugin and I love it. It helps to grab more comments and results in more traffic. Glad to know you’re using CommentLuv and you’re happy with it, Kuldeep. Does Commentluv work with other WordPress spam plugins like Akismet and WP Spamshield? I’m considering Commentluv but the #1 thing I read about it is how much spam it attracts. I use it in combination with Akismet for a full SPAM fighting team. I’ve never used WP Spamshield, though. Try CommentLuv, and if you like it, you can switch to Premium version anytime. Well the first reason for using the commentluv plugin would be encouragement to the readers to comment on blogs and also some other benefits which we can’t deny. I’m also using commentluv on one of my blog and I’d say its very satisfactory performance. Good to hear that, Steven. Blogging is my passion. I believe that a good writer should also be a good reader. I also do comment blogging. It helps me in many ways like knowing new things , gaining information on latest topics, get to know many other bloggers, etc.. The comment luv plugin is a very useful plugin. It helps you not only to identify spammers, reward your readers, know your commenter and also help you to market your product or services. The best thing about this plugin that it has free version and is very productive too. I think it is better for beginners as they can work on it and know about it. Great post and I hope it would help many others who are unaware of this plugin especiall beginners. Blog commenting is a surefire method not only to gain traffic, but also to build relationships with bloggers of your niche. Glad to kow you confirm CommentLuv is such a great plugin. glad to know this article helped you in any way. Let me know if you need help with CommentLuv. I also use Commenluv on my site. In regard to spam, it was a rather big problem for me also, until I found the plug-in, Capthcha Bank. This stopped spam in its tracks, and you can customize the amount of characters you’d like to appear in code box. I love it. thanks for adding your experience. I’ll try this commentluv. Your awesome. Thanks! Got to know the features of comment luv plugin and some history of “do follow”, it was interesting to know that why you still use comment luv plugin that’s great !!! I use free version of it and my next step is avail the premium version. Everything is great, I hope the same for you.